Losing movement in the facial muscles can be completely devastating for a person. Not only does this present a physical distress as the person can lose the ability to smile, frown, or make any complete facial movements, but it also takes a toll on a person’s mental state. Though they occur for different reasons, both facial paralysis and Bell’s Palsy bring permanent or temporary facial paralysis to its sufferers and should always be treated by an experienced surgeon. 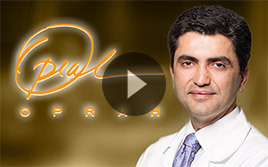 Dr. Azizzadeh, expert facial paralysis surgeon in Beverly Hills and founder of the Facial Paralysis Institute aims to educate those inflicted with the disorder regarding one major distinction: What is the difference between facial paralysis and Bell’s Palsy? Facial paralysis is the general term for used to describe the loss of the ability to move one side of the face, while Bell’s palsy is a specific type of facial paralysis. Facial paralysis is a condition in which the facial muscles become paralyzed. 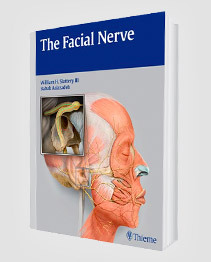 Basically, the muscles in the face become paralyzed due to the facial nerve being injured or experiencing some kind of trauma. 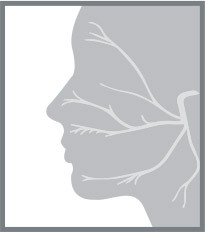 Facial paralysis can also occur due to infection, tumors, and other diseases. A person with facial paralysis will be unable to move some or all of the muscles on the affected side of their face. Facial paralysis not only presents the sufferer with a disproportionate face, but can also cause other disabilities that make swallowing, speaking, and chewing quite difficult. Bell’s Palsy is the most common form of facial paralysis, and is caused by inflammation of the facial nerve, and is most likely related to reactivation of a virus known to cause cold sores (Herpes Simplex Virus). This swelling prevents the nerve from sending correct signals to the brain and facial muscles, resulting in paralysis. Bell’s Palsy can occur very quickly, with symptoms and paralysis setting in as quickly as 48 hours. People suffering from Bell’s Palsy have a relatively good prognosis, with approximately 90% of patients completely recovering. The main difference between facial paralysis and Bell’s Palsy is that when a patient is diagnosed with facial paralysis, a cause for the paralysis can be identified, be it a tumor, infection, or nerve damage. In cases of Bell’s Palsy, the disorder appears without any reason, which can be quite troublesome for the afflicted patients. Facial paralysis, in most cases, also appears more permanent than Bell’s Palsy, with cases lasting for years to life if a patient doesn’t seek treatment. 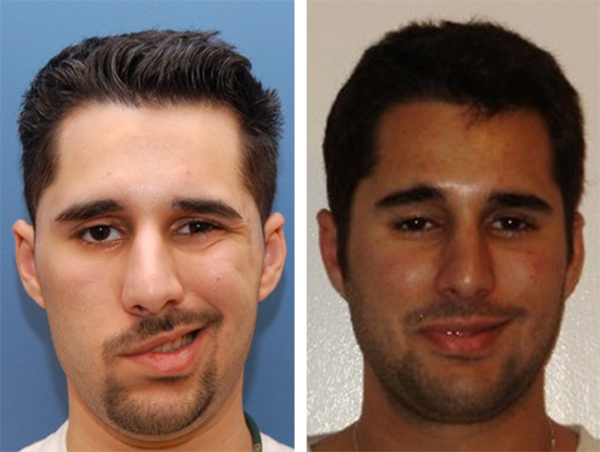 A patient suffering from Bell’s Palsy may regain facial function at any time without surgical treatment, and patients usually recover without any permanent damage. However, if after 3 months a patient is still afflicted with Bell’s Palsy, they should seek treatment from a facial paralysis expert. If you’re experiencing any kind of facial paralysis, it’s important to understand that the disorder is extremely treatable when you visit a world-renowned facial paralysis expert like Dr. Azizzadeh. To learn more about how Dr. Azizzadeh can be of service to you, contact our practice today for further information.